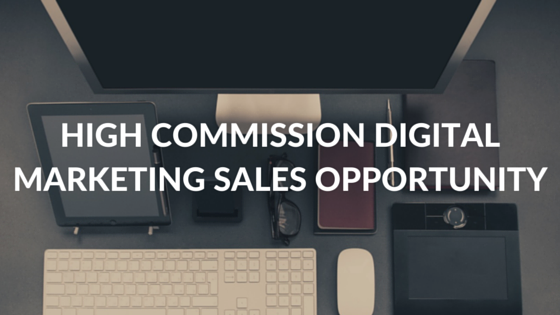 They are now looking to connect and work with freelance Digital Marketing sales reps through their listing on CommissionCrowd. We speak with Farhad Divecha to find out a little more about Accuracast and what kind of sales professionals they hope to form working partnerships with. Where did the inspiration for AccuraCast come from? When I started off AccuraCast in 2004, I had envisioned a generic marketing agency. However, I quickly realised that search was where the market seemed to be headed and that is where we could grow the most. So, within 6 months of starting the business I realigned the business to focus on search marketing, and it has been that way since. The digital marketing industry is a dynamic, rapidly evolving industry. Even though it’s over 10 years old now, the nature of the industry and its players is rapidly transforming and as a whole the market seem most open (almost welcoming) to disruption. As we see it, the industry consists of 3 main sectors: search, display and social. There are very distinct leaders in each of these sectors, and their dominance can feel unassailable at times. Search in most of the world is dominated by Google. Microsoft & Yahoo!, Yandex, Baidu, Naver and a bunch of others have a share in some markets, but cannot compare on a global scale with Google’s might. Display is also largely dominated by Google – through the DoubleClick network, Google Display Network, and YouTube. Though, there are a number of other significant players in the market, including Microsoft Advertising. Social is the youngest and probably most susceptible to disruption. Facebook leads the market, but Twitter, and LinkedIn have a sizeable share and command significant ad spend, especially in specific market segments such as entertainment for Twitter and b2b for LinkedIn. I’m not a sales person myself and we don’t have an in-house sales team. Therefore, the best option for us was to partner with professionals who can work independently, don’t need a sales manager telling them what to do, and can deliver results without requiring extensive sales training. We have a number of USPs that make us truly a unique agency in our field. As I mentioned earlier, we have the longest record of immaculate ethical SEO services. We are a Google Partner Elevator agency. We’re one of the only digital agencies in the UK that provides high quality, ethical link building akin to digital PR, and we’re the only ones to do so in multiple languages – which means for clients who want to grow internationally, we’re one of their only viable, reliable options. And lastly, our track record of innovation with digital marketing consistently helps our client grow above and beyond their target objectives – which means we have a great track record to show prospective clients! Can you tell us about some of the companies you currently work with? Promoting Euro Disney and Pierre & Vacances – CenterParcs Group’s new project, called Villages Nature, which is a new eco park located next to Disneyland Paris. We’ve seen some amazing success with Facebook ads for the project during this quarter. Content marketing for Unibet. We cover all of Unibet’s major markets in Europe and Australia and deliver some great coverage in national and regional press. Marketing UFC London (Ultimate Fighting Championship) pre-sale via search and social, so that awareness of the event was maximised. Our efforts ensured that tickets for UFC London sold out in 27 minutes of going on sale! SEO for Thymometrics – a b2b start-up whose product is an employee engagement tool. The business is up against some very large, established players in the market, but our work has resulted in them breaking into the first page of Google in spite of the stiff competition. We’re 100% ethical – we’ve been going 12 years and in our entire time doing business, not once has any of our clients ever been penalised by Google because of work we’ve done. This is a track record that no other SEO agency can boast of over such a long period of time. Innovation is the backbone of all our work and that’s why our clients come to us and stay with us. We make it a habit to think outside the box and deliver ideas that make our client’s campaigns stand out above their competitors. What are you plans for the future of AccuraCast? We’ve been through a steady period of organic growth over the past 5 years. We’re now in a fantastic position and are preparing to grow rapidly through new business acquisition within the UK as well as throughout Europe and the USA. Our plan is to double the agency revenue, income and size this year, and then repeat the same in 2017. What are your best selling services? Our best selling services are definitely our SEO audits, link building and PPC management service. We do get awards and nominations for awards, but I tend not to bother with them. My primary goal is to deliver great value to our customers and grow through evidence of our work. When we tell clients “we promoted the Stroke Act F.A.S.T. campaign for the NHS online”, they tend to remember that a lot more than when I tell them we won some industry award that no one outside the search / marketing industry has heard of! That said, one thing that does matter is the recognition we receive from Google. We’re a Partner Agency – we were one of the first Google Qualified agencies in the UK. Google featured us in their first ever agency success story (case study). And we’re now part of the Elevator programme for agencies, where only 250 global agencies with very high potential are shortlisted for special training and support from Google to boost their growth. Given the nature of our service, the sales cycle tends to be fairly long. A typical sale can take anywhere from 1 month to 6 months. The process usually starts with an initial contact and requirements definition, provision of a top-level quote, followed by delivery of a detailed proposal and finalised by the client decision. Between each of these stages there tend to be a number of phone calls and possibly a meeting or two with the clients. Before we joined CommissionCrowd, almost all our business came in organically – our existing clients recommend us to others or brands search for our services, find us on Google and get in touch. This is the first time in our 12 year history that we’re putting together a dedicated outbound sales programme that we are sure will help us reach our growth objectives.